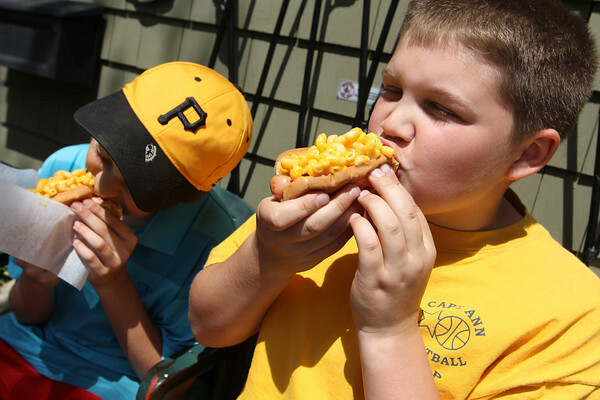 Top Dog's "Golden Retriever" hot dog, popular with kids. It is enjoyed heartily by regular customers Curtis Welcome, left, a seventh grader, and his friend Charlie MacDowell, a sixth grader, both from Rockport in front of the Bearskin Neck eatery. Photo by Allegra Boverman.